Back in 2012, Turn 10 Studios and Playground Games released an open-world version of its critically acclaimed Forza series, Forza Horizon. At the time, it boasted a big and beautiful world with driving that was more forgiving than its simulation predecessor, the Forza Motorsport series. 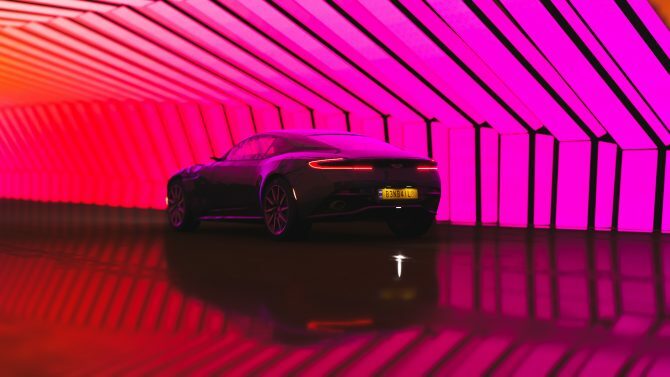 Six years and two more games later, the developers have improved the series with Forza Horizon 4, and that is unbelievable. 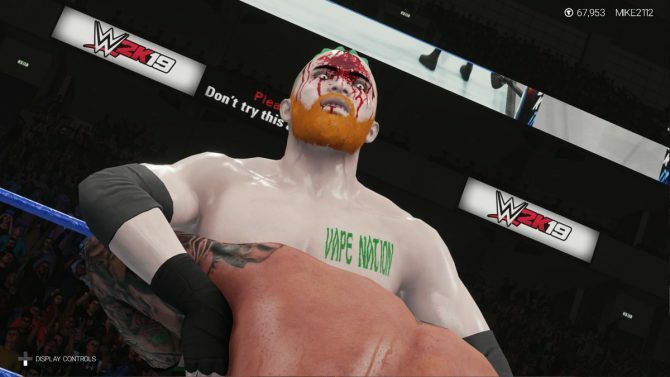 Each game somehow improves upon itself by tightening up gameplay, giving players more customization options, and setting it in more intriguing locations and tracks. 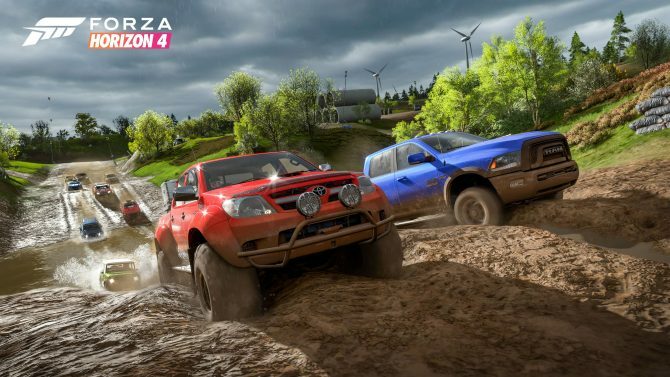 At Microsoft’s Xbox press briefing, Turn 10 and Playground Games got up on stage to share the reveal of Forza Horizon 4 and all the new improvements coming to the game when it launches in October. During E3 2018, we got a few minutes of hands-on time showcasing the new dynamic seasons, as well as the gorgeous 4k visuals. 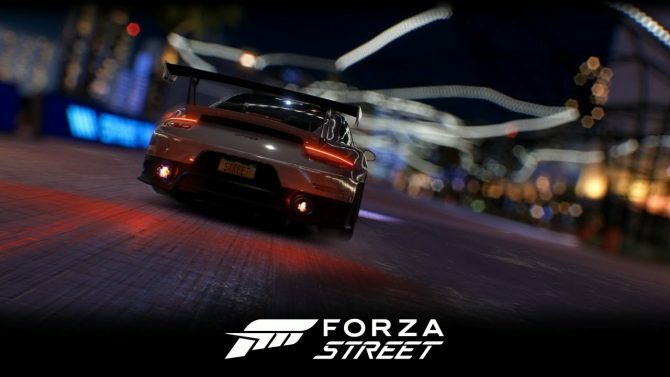 We didn’t see too much but just from what I’ve played, I can tell that the studios have somehow continued to improve the Forza Horizon series. The premise of the demo was to showcase three facets of the game: the changing seasons, the surprising variety of the England setting, and the actual gameplay. 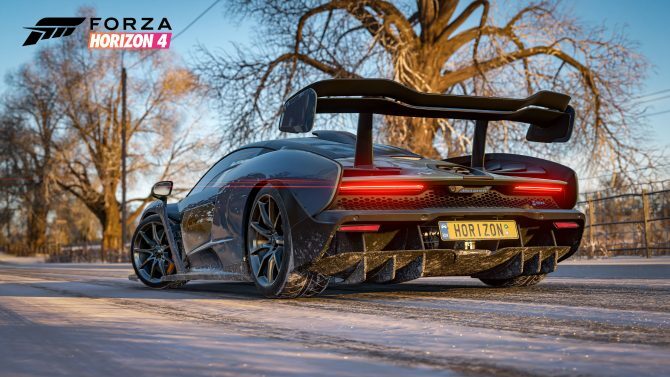 The newest and most exciting feature in Forza Horizon 4 is the changing seasons. In the full game, seasons will change after a week; this will open up new jobs and challenges, as well as affect gameplay in some significant ways. In the demo, we got a short taste of each of the seasons, as well as a few different types of races and race styles. 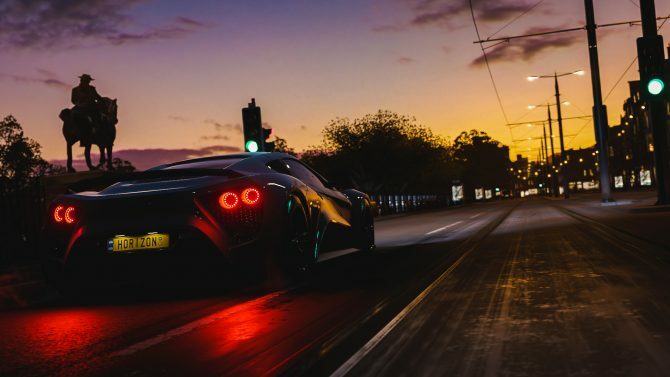 The Summer and Fall showcased fast hypercars like the game’s cover star, the McLaren Senna, the Winter flaunted some offroad racing, and the Spring put you in the seat of a Ford Focus driving through the rain and mud. The seasons are not just there to bring some variety to the incredible visuals but also to the gameplay. Driving in the Winter is a bit more unwieldy when traversing through the snow and on the ice; it wasn’t shown in the demo but frozen over lakes will give you access to new terrain that was once inaccessible. Spring showers may cause you to hydroplane as you race through large puddles. Seasons will be a welcome addition; no longer will I have to buy DLC to just drive in the snow a la Forza Horizon 3: Blizzard Mountain. The England setting allows the seasons feature to be possible. In Forza Horizon 3, the Horizon Festival was set in Australia, a continent that has a diverse climate but is mainly hot and sunny. 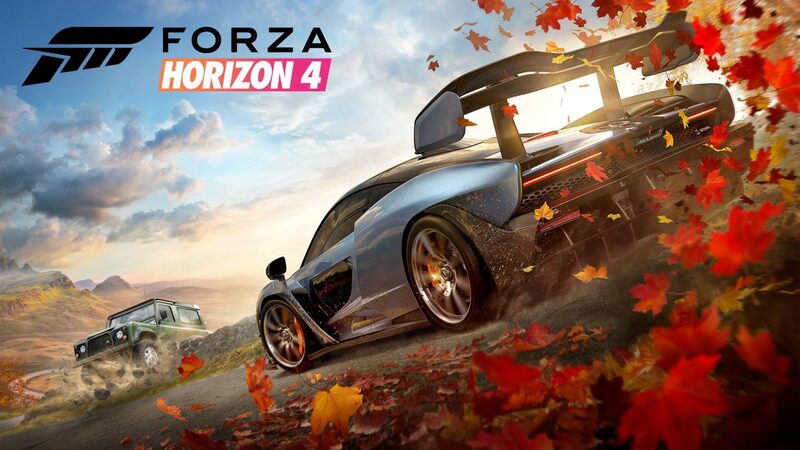 With England’s more distinct seasons and a pretty rich history with motorsports, it is a good match for the newest entry in the Forza Horizon series. The gameplay is just as great as the previous entries. It is not entirely arcadey but is a bit more forgiving than the Forza Motorsport series. Forza Horizon 4 still features the true-to-life models of the plethora of vehicles that give you a good idea of how they drive. The difference between a McLaren Senna and a Ford Focus is very apparent, not just in look but driveability. Driving then Senna on the open road is fast with incredible handling; braking was only necessary during sharp turns. The Ford Focus handled well in the mud and promoted a more drifting style than the hypercar. One subtle difference I noticed was the destructible drystone walls. When I asked Turn 10’s Design Direct Jon Knoles about that choice, it was due to the game’s setting. Since the game’s map features so many of them, it wouldn’t be fun to hit them, putting a halt to the fast and furious moment-to-moment driving. Instead, there are a few walls that will be destructible and will look different than the ones that are not. There is still a slew of new features I did not have a chance to try including the public events and the house you’ll use as your home base. A lot of these features seem fantastic on paper and, if executed right, make Forza Horizon 4 the best the series has seen. Each entry of the series has improved upon its predecessor, and this doesn’t seem to break that streak. Forza Horizon 4 will launch for Xbox One and Windows 10 on October 2. You can pre-order it on Amazon right now.